﻿What is an e-reader and do you really need one? What is an e-reader and do you really need one? E-readers have always been quite popular but it is lately that their prices started gradually yet constantly to go down. Now everyone knows of Kindle, but there are more readers out there like, for example, Nook. All of these today cost below $100. Even though it is a very fair price for a good piece of technology that does not need constant upgrades and lasts for a long time, some people feel that it is still a bit steep since an e-reader is still just a single use device. Of course, some of them do offer extra features like the internet but often it is more unsafe to surf the web with an e-reader than to leave your laptop password unprotected. On the other hand, there are tablets which can perform all functions perfectly, yet they are a lot costlier and chances are, they will not last as long as an e-reader. So, with all these questions asked, what shall one do and how to choose a proper e-reader that will suit all of your needs? 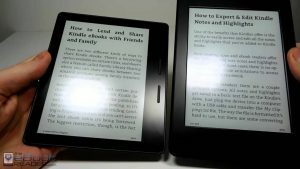 What is the main difference between some e-readers? The main difference between e-readers and tablets is that both have a completely different display. Most commonly e-readers contain e-paper screens that usually do not need a backlight to produce visible images. Black and white colours are the standard for e-readers with some, usually 16 levels of gray. That is nothing surprising, because if an e-reader will be used only for reading it does not need to contain colour or other features that would require a different screen. It is a device designed solely for people who love to read, so no apps or games can be used on an e-reader. However, colour e-readers do exist. Having said that, they will never be as good as the tablets out there because most of the tablets produced today have LCD screens. Which books are most suitable for an e-book reader? It seems that an e-reader was created with a certain person in mind and that is a person who reads a lot. People with other hobbies, such as cooking, knitting or writing prose are better off with using a tablet. Why? Since e-readers use black and white e-paper it is impossible to use interactive elements in them. That means that it is a more suitable tool for books like fiction or nonfiction. Titles like cookbooks, travel books or even textbooks will not be displayed properly on an e-reader because of the display issues, hence someone who enjoys cooking a lot and thinks about purchasing an e-reader might be better off with a tablet. 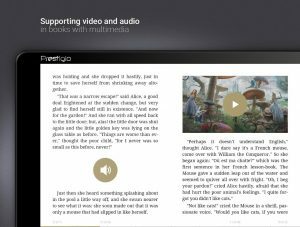 E-readers also do not support enhanced books, so you will not be able to use that one book that has videos or other media files in it. If you are someone who wishes to escape from the outside world and lose yourself in a moment of relaxation, then e-reader the obvious choice for you. You will be able to download and own thousands of books in one place, it will be a lot cheaper than buying paperbacks as well as it will open new space in your home. One could argue that all of the above is achievable via a laptop or a tablet, but owning an e-reader allows you to escape the seduction of social media. E-readers will not allow you to be lazy or to surf the web. It is an item that has one goal only and the goal is to get you to read the books that you have been wishing to read all these years. So, get yourself an e-reader and choose one that does not break the bank, has a lot of memory on it, comes with a strong battery and a nice-sized screen. That is all you need and the choices on the market are equally good. Just remember that sometimes less is more. It is quite important that your child has well-developed reading skills as not only it help the child to grow his imagination and creativity which in return can make the child’s brain more active. So, if your child starts to read more books, he or she will be more creative and will find it easier to express himself. Not only that, being exposed to the beauty of books at a young age will make an easier for your child when it is time to start school. However, it is not always easy for parents to develop good reading habits in their child children. The good news is that there are some tricks you could hide up your sleeve that will make this task a lot easier! Read a lot of books yourself! Yes! It is that simple! By reading a lot of books yourself you are presenting a good example to your children. Simply make sure that they see you reading and in no time, they will want to join you themselves. When reading teach your children that it is done not only for pleasure, but also to gather information, understanding of the world and to connect to others. If your child sees you reading every single day soon enough he or she will start understanding the importance of reading. It is not a big secret that children most commonly pick up their own habits from the parents, so try to always set a good example and create a literacy-friendly environment at home. Do not forget to discuss what you read with your spouse and your children. But more importantly always take interest in what your child has been reading and what they thought of it. Do not limit the discussion to just books – openly talk about magazines they like, articles that they found most interesting. A great way to spark their reading habits is to discuss their most recent reads and connect them to real life events. If you notice that your child is more interested in one specific genre or topic, then encourage him follow his passion. Share your personal experiences on an even deeper level by introducing your favourite childhood books to your children. Discuss what was popular when you were little – which magazines, authors, characters were most beloved. Share which book or even which line of text has had the biggest effect on you. It will not only help to develop good reading habits in your children, it will be a great way to increase your bond even more. If your family is multi-lingual, then great – read books and stories in different languages, as it will prove to be extremely fun for your baby. Last but not the least, do not forget to have fun with it yourself. Why is it important to read books? Since when are books a part of my life? I did not always love reading books. It is a passion of mine that grew very slowly over certain periods of time. When I was little I would prefer someone else to read to me because the action itself would make me sleep. But then one day I wandered into the library and it filled me with a calm and peaceful feeling like I have never felt before. Since then I became addicted to literature and kept devouring books one by one with occasional breaks in between when I would not read anything at all. Right now due to large amounts of work, a recent move to a new flat and not-yet balanced life I am once again in the phase where I read very little, but that does not diminish my love for literature. But why do I love reading books? Reading has always been a way for me to grow as a person and expand my views in life. It has made my knowledge of the world and people bigger and better. Every single book that I have ever read has affected my personal and professional decisions, whether I decided to take on more responsibility or simply help someone cross the street. A book has been my biggest educational tool, that I can continue using till the day I die. I truly believe that I would be worse off if there were no books in my life. It is through literature that I realised that there are lives other than mine and the fact that I can read about them in the first place is a privilege. Ever since I was a child I knew that I enjoy writing and it is one of the easiest ways for me to express myself. But I would not have realised that and chosen a professional path in writing without having read any books. It is reading that improves my expertise of language and makes me a better professional. 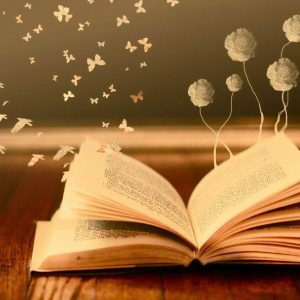 It is because of reading that I can fluently express the feelings deep in my heart and belly when I see my loved ones, because without having read anything I would not have the words to speak. It has become essential by each one of us to avail reading skills in the present times, particularly for the sake of socioeconomic advancement. Reading books comes with a lot of importance. Reading enables a person to understand more words and terms. Reading books does not only help in gathering knowledge, but reading skills also assist people in increasing their fluency and that can be well determined by an educated person talks and behaves. At the present time, when there is such a high competition, you need to have reading skills to make sure that you are educated in diverse fields. 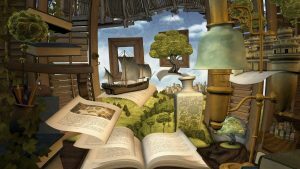 If you look around in the market, you shall find a wide range of books available out there, especially if you visit the websites of premium publishing houses like Reedsy and, if you are thinking to start reading for the first time, it is always recommended to choose a book from the genre that suits your interest. Some readers love to read story books while others prefer to read books based on some particular subject. However, it is advised to try reading books from almost all genres to boost your knowledge in almost all streams. A good reader can certainly become a good speaker (at least according to the famous websiteEntrepreneur). Moreover, reading books will help in developing the comprehension potential within you. Reading books will help you come across different words and thus you shall be able to increase your stock of words by developing a regular practice of reading within yourself. It would also help a person bring more quality into the written piece as well as help you gain enough confidence, both while reading and writing. Reading books will also prove to be useful in areas of public speaking and it would also enhance the language skills within you. Therefore, if you are still not in a habit of reading books, try developing this habit within yourself in order to ensure your future success. Technical writing is just one of the absolute most in-demand skills in the internet community. Your writing needs to be clear and understandable to your intended audience. Generally speaking, academic style writing isn’t suitable for internet content. The things that you write can vary greatly, but technical writing is a skill that translates well to book writing. The very first thing an author has to do is to find their voice. In case the author mentioned something that you do not quite agree with, or fully understand then you have to inquire and suggest. In the event the writer wishes to, he can change the mental image within the next sentence. Though some expert essay writers are skilled and equipped enough with the ideal writing tactics to employ. There are times that you meet writers that are echoes of different voices. Some writers locate their voices early. To locate your voice for a writer, you first have to find yourself. Many writers have dreams that turn into nightmares since they struggle for a means to get published. Most creative writers have a secret urge to enter a writing or poetry contest sooner or later in life. What matters is how words are accustomed to clearly convey the function of the piece You’d be surprised to discover that a large part of the best ideas are already in your head. If you realize that you are writing all of the time, you’re a writer. You will need to live the life which you have, explore whatever options are open to you, go after the things you need and need, or learn how to avoid or suffer the situations you don’t want. Writing contests have come to be the location for writers of just about any type to become noticed. The writing groups hold a great deal of unique kinds of contests. There are a lot of basic methods that can be placed on the process of producing successful flash fiction. Do exactly what you’re told or your entry is going to be thrown out. Do add the calendar year, or you’re going to be returned a good deal of ancient entries. It is possible to always compose a contest entry. The prizes are extremely small, but the point is, it is an excellent place to start building a name and getting attention. If you opt to enter a writing contest, there are lots of advantages that a writing competition can give you. More than 2000 writing competitions show up on the web annually. No matter your skill for a writer might be, there’s sure to be someone seeking your help. The capacity to relate to readers is crucial especially in the internet setting. Travel as soon as the opportunity presents itself. As a consequence, it is not hard to multiply your opportunities for a cash prize. Finding out how to persuade and influence will produce the difference between hoping to have a better income and having a better income. Some of us will say yes, some folks will say no. The real words used in legal writing can be split into four categories, Words from different languages. Not everybody has a way with words. Writing a tribute is easy, but sifting through your knowledge base to find the appropriate words is often quite tricky. Entering a writing contest helps a lot with that.